Frannie O'Neill is a young and talented veterinarian living in Colorado. Plagued by the mysterious murder of her husband, David, a local doctor, Frannie throws herself into her work. It is not long before another bizarre murder occurs and Kit Harrison, a troubled and unconventional FBI agent, arrives on her doorstep. Late one night, near the woods of her animal hospital, Frannie stumbles upon a strange, astonishing phenomenon that will change the course of her life forever....Her name is Max.With breathtaking energy, eleven-year-old Max leads Frannie and Kit to uncover one of the most diabolical and inhuman plots of modern science. 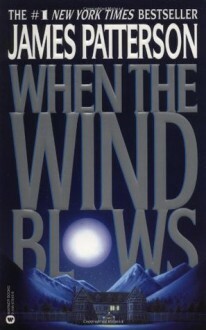 When the Wind Blows is as unique a story as has ever been told, filled with suspense and passion.